HappyFood is a Sanctuary in the city. Serving Vegan food made with lots of tlc in a laidback and friendly atmosphere. We can provide catering to any event no matter how big or small both at our Yoga Studios and at events, functions, homes or at your office. We are the much loved and long established Cornucopia Vegetarian and Wholefood Restaurant in Dublin City Centre. We are dedicated to producing fresh delicious food with an emphasis on locally grown and organic produce. At Cornucopia we have a wide variety of vegetarian and vegan main courses, salads, desserts and soups available for outside catering suitable for all tastes including coeliacs and those on a gluten free diet and/or wheat free die. We also have a selection of living foods for those on a raw vegan diet. If you are having a party and would just like some vegetarian finger food and canapés we can organise that too. KALE+COCO began as Ireland's first smoothie bowl bar and has since grown into a full-service plant-based food company that also specialises in delicious, nutritious and healthy catering. 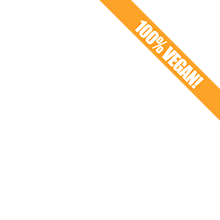 All of our food is 100% vegan, gluten-free and refined sugar-free. With an emphasis on presentation as well as taste, our food is always guaranteed to be a crowd pleaser. Totally vegan and alternative diet friendly. Farm to table, sustainable, local, plant based, eco-friendly, non-processed and delicious. Juice Heads’ is run by holistic nutritionist & chef Agata, who is passionate about health & food. “Let food be thy medicine and medicine be thy food”! Serving delicious and nutritious salads, meaty beaty big and bouncy veggie burgers and organic cold pressed juices. Our produce is 100% plant based as we love the Earth and all the goodness it has on it. For those of you who are looking for healthy comfort food, Agatrix Natural Nutrition offers a tasty alternative. You can eat & drink without guilt and without giving up on taste. Vegan food stand trading at some of Dublin's best markets. Homemade fresh food with premium quality ingredients. Choices of Curries with rice, chappati wrap, choice of samosas, chilli bite pakoras and more. All the savories are served with homemade fresh authentic Indian chutneys. Available to cater for private functions.